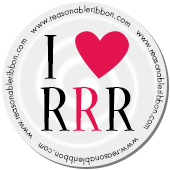 Really Reasonable Ribbon Blog: Happy Fall Y'all! AND...Happy Sunday to all of you! Misty here, and today...I just want to share a couple of scrapbook layouts with you. Both of these layouts use ribbon for major accents, and I LOVE them! Up first is Dayne and Skye in my layout titled: Happy Fall Y'all! In this layout , I used the musical notes cotton ribbon as accent. I LOVE the way it feels! Gorgeous ribbon! Next is a layout I did of Aubrie titled "My Girl"
For this one, I used hemp cord and Ivory Crochet lace for both the border beneath the photo and the banner in the corner. I wasn't sure about how the banner would turn out, but once I did it...I was in LOVE! really liking that fall layout!!! the embellishments really do speak to the photo so well!!! Love love love the music ribbon! And the crocheted lace border and banner! Great LOs, both of them!